She was received in audience by the Minister of External Relations together with his close collaborators yesterday. The Secretary of the Commonwealth, Rt. Hon. Patricia Scotland QC, was yesterday December 19, 2017 received in audience by the Minister of External Relations, Lejeune Mbella Mbella. The Minister received her with some of his close associates amongst which were the Minister Delegate in charge of Relation with the Commonwealth, the Minister Delegate in charge of Cooperation with the Islamic World, the Secretary General, Directors amongst others. The trained lawyer and Baroness who was on a courtesy visit to the ministry was accompanied by some members of the Political, Socio-cultural Transformation and the Economic and Trade Divisions. She took office on April 1st 2016 as the sixth Commonwealth Secretary General and is the first woman to occupy the post. Baroness Patricia Scotland has always stated that her mission is to put the wealth back in the Commonwealth and the common back into the wealth. The four principal priorities of her stewardship at the Commonwealth include, tackling violence against women and girls, threats of climate change especially for small island areas, promoting good governance and harnessing the energies of young people who make up about 60 per cent of the Commonwealth. 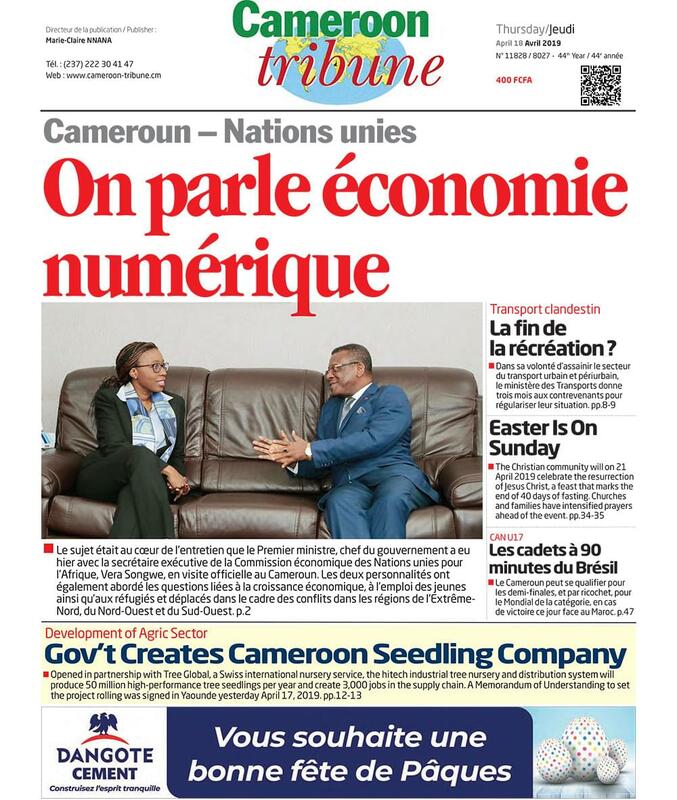 It should be recalled that Cameroon supported her candidacy and the Ministry of External Relations was the first place the Rt. Hon Scotland visited during her official five-day stay in Cameroon from December 18-22.